Select Size and Connection from the drop down menu. 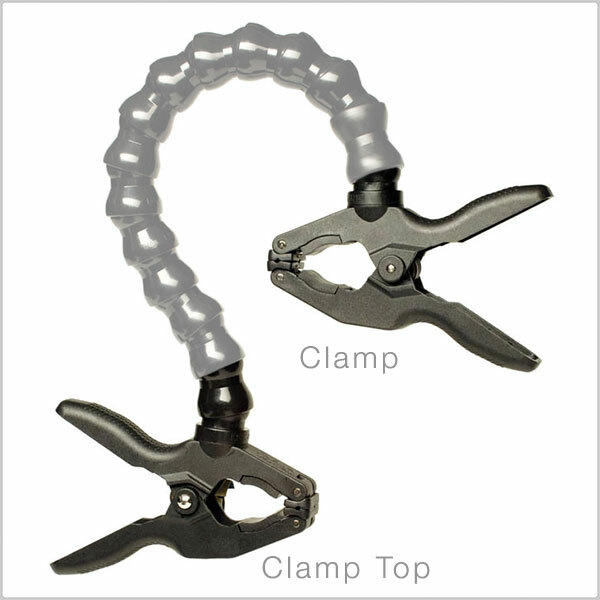 Small Clamp (1") - Use this grip device for holding items steady for macro photography, positioning devices like audio / video receivers, video transmitters, flashlights, cables, microphones or giving you a third hand for reflectors. Our length adjustable arms and spring clamp allow for placement in areas other mounts can’t reach. 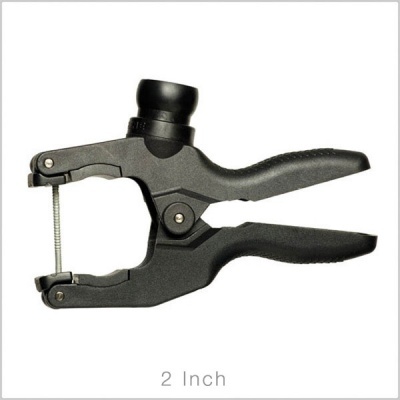 Accommodates surfaces up to 1" thick. 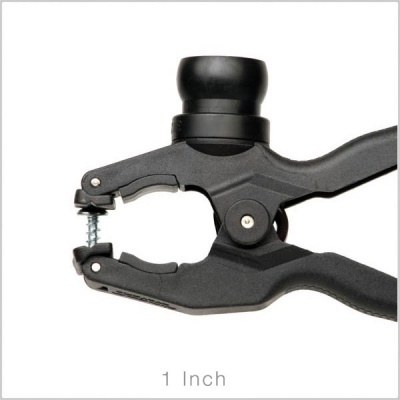 Weighs only 113 g.
Large Clamp (2") - Use this grip device for holding items steady for macro photography, positioning devices like audio / video receivers, video transmitters, flashlights, cables, microphones or giving you a third hand for reflectors. Our length adjustable arms and spring clamp allow for placement in areas other mounts can’t reach. Accommodates surfaces up to 2" thick. 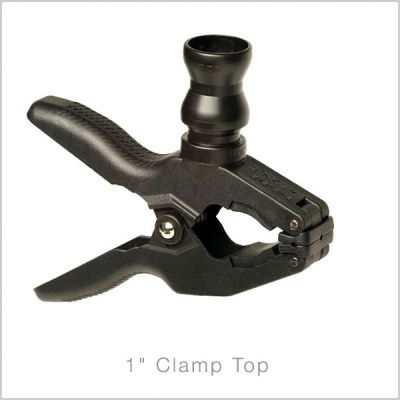 Weighs only 164 g.
Clamp - A strong clamp which can be attached to any Dinkum Segment. 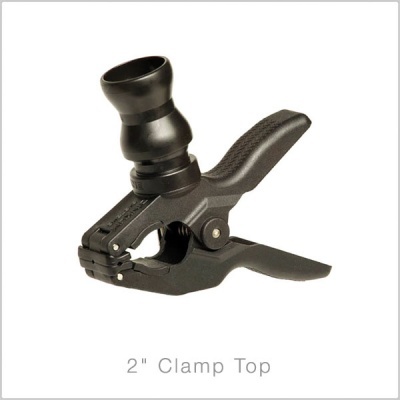 Clamping Top - Turn your Dinkum Systems® camera mount or lens shade into a super strong, ultra useful clamp-to-clamp device (not compatible with the COMPACT™ lens shade for DSLRs and small video cameras). The spring clamp has a double-adaptor piece which allows the unit to be attached to the top end of our modular hose arms.